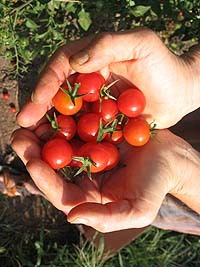 Remember that this Gleanweb site is only a demonstration site for gleaning software. Through this program, we glean excess produce, eggs and meat to be distributed to local food missions and shelters helping neighbors in need. Our volunteers will come to your property to harvest or collect your crop donation. At least 50% of your crop donation goes to a deserving food mission, and 25% of the food is distributed among our hard-working volunteers. As the property owner, you will receive 25% of the harvest, or you can choose to add your portion to the food mission donation. Additionally, Gleanwebl pick up produce that has already been harvested.